Happy Holidays to the Artoconecto/KIDSART Family! Wishing everyone a happy, healthy, and inspiring New Year! OUR LAST CAMP IN GVOZD, CROATIA. THANKS TO ALL THE WONDERFUL PEOPLE AT SUNCOKRET AND TO OUR GREAT KIDS! Nikola and his friend and assistant Nina traveled from Hungary--they got lost in one of the most complicated and intricate crossroads that divides Eastern Europe-they ended up in Slovenia! The next day, they set out back on the road determined to make it to Gvozd. They did! and brought with them the most inspiring spirits and contagious energy. As soon as they pulled over into Suncokret, kids, artists, and volunteers immediately engaged--downloading stacks of fresh hay from his van, tools, baskets filled with artwork. The kids were in awe and realized how much you can do with hay, besides feeding it to the cows. " I use organic and natural materials in my work, because I believe that preservation of the planet is also part of my artistic journey. Today we will use branches from a nut tree, they are strong but at the same time they are flexible, and this will be symbolic for the kids--we must be strong in life but also flexible." By Nikola Faller. More photos and stuff-click on the sunflowers or right here! Featuring LEGALART Artist-In-Residence, Pachi Giustinian! Tolerance and Understanding In Our World. Thank you Pachi Giustinian!!! Thank you Legal Art! 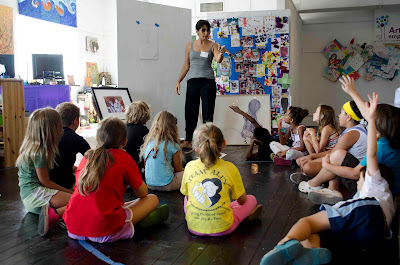 Artist Pachi Giustinian did an amazing job with her workshop at Legal Art this past Saturday... the children worked together to better understand the common goal... to paint as “object”. Giustinian’s workshop was truly a non representational abstract approach. And the children did an amazing job working on individual pieces , knowing that they would come together at a latter date. Leandra, Lucas, Trenard, Lara, Skye, and Kamilla better understanding a finished painting as an object, by Pachi Giustinian....coninue by clicking on the KIDSART blog! Our third Miami camp this summer was taught by painter, sculptor, and designer Douglas Hoekzema. It was an exciting adventure in better understanding “Platonic Patterns” through the act of repeatedly painting shapes, using hand made stencils the kids cut out themselves!!! Mr. Hoekzema methodically explained the seemingly simple task of stencil making with construction paper! a lot more complicated that it looks!!! Snow flakes came up a few times... and then it dawned on us... many of the kids and adults in the room have never even seen snowflakes before... and so, the Kids quickly rose to the occasion! Flowers, crystals... zebra stripes... rows of houses... the list ran on and on! More photos on the KIDSART blog! Our fourth camp took place yesterday with Lila Herceg, who traveled from Varazdin--a three- hour-trip by bus. Lila is a contemporary artist who graduated from the Academy of Fine Arts in Zagreb. Her approach to the theme of Tolerance was emphasized in the use of same materials and the same subject. She discouraged them to copy one another. "I want the kids to realize, after they are finished with their assignment, that although they are all making a collage about trees, at the end all their works will be different from one another." By Lila Herceg. Gvozd is a region that is surrounded by wild almost untouched nature. Fruit trees such as apple, pears and blueberries are as common as coconut trees are in the Caribbean and in costal areas of Southeast Asia. Aleksandra Podrebarac's workshop focused on nature, the kids home. An artist from the war torn neighboring city of Karlovac, Aleksandra’s goal was to use the power of observation to make them understand not to take their environment for granted. "It will also teach them to be as tolerant with nature’s way as they should also be towards one another." By Aleksandra Podrebarac. Enter the KIDSART blog in Croatia to see more of today’s workshop. 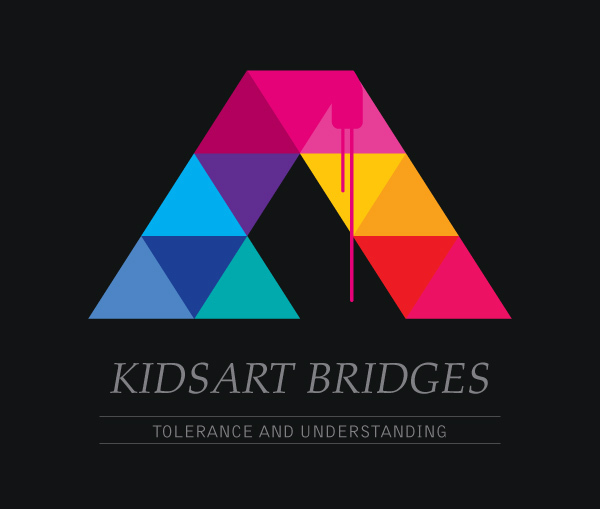 KIDSART Bridges/Croatia begins! Click here for the first camp! KIDSART Week#2: Artist Leda Almar and the kids! Our second art camp!!! Understanding Through Self Portrait; by artist and educator Leda Almar, was an absolute success in a step towards understanding the portrait! The children learned about drawing... how to use paint and color. Most important of all... we all learned how the portrait is an awesome vehicle to self expression. For all the fun, and much, much, more. please go to the KIDSART Blog! Bhakti Baxter kicks off KIDSART! An amazing Saturday morning for the kids! And don't forget Ms. Cheezious! All that and more photos on the KIDSART blog. Stay tuned for our first camp from Croatia, too! The dynamic arts non-profit Artoconecto is pleased to announce KIDSART BRIDGES: Tolerance and Understanding In Our World, a new and exciting series of arts camps that will take place at artists’ studios in Miami (US) and Gvozd (Croatia), during the summer of 2011. Five of Miami’s leading artists---Bhakti Baxter, Leda Almar, Doug Hoekzema, Pachi Giustinian and Sinisa Kukec---will conduct one camp per week, on Saturdays from 10 AM to 1PM. 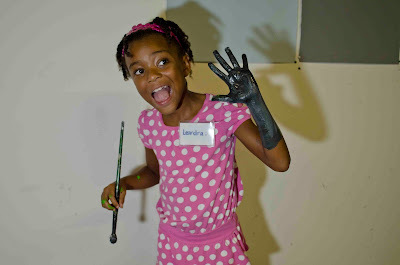 The camps will include all materials, tools, art supplies, and lunch! 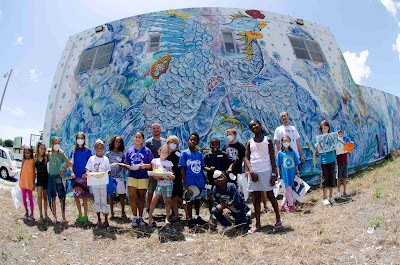 In fact, after finishing their collaborative projects, the kids will find a different food truck waiting, parked outside the artists’ studios. This summer KIDSART expands internationally, as the Miami camps will run concurrently with the participation of children from the war torn city of Gvozd in Croatia. Children and artists from both cities will work side by side to create meaningful pieces of artwork that reflect the theme of tolerance and understanding in our world. 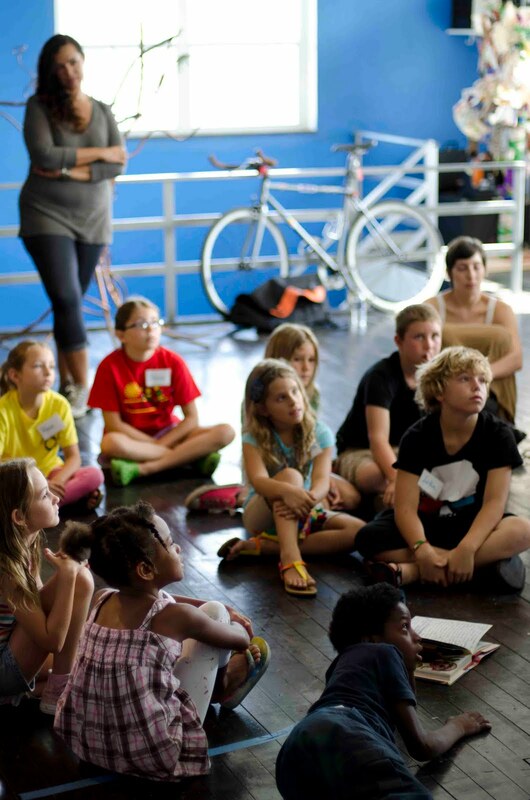 In addition, Artoconecto is excited to announce that they have been awarded their second grant from the Miami-Dade County Department of Cultural Affairs for KIDSART, as well as a generous grant from international arts organization CEC Artslink. This will allow Artoconecto to expand its children’s program and partner with the Croatian organization Sunkocret (Sunflower) Center for Community Development. 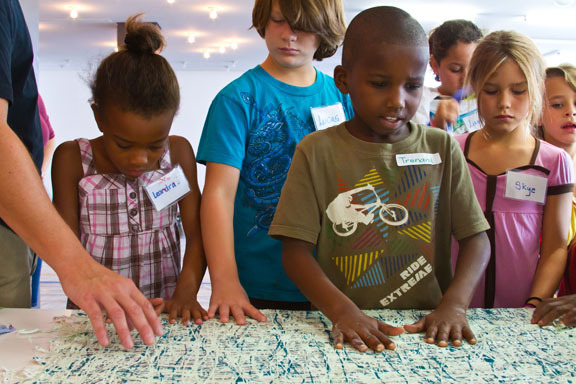 The grants will facilitate both organizations’ implementation of a five-week arts camp where kids will participate in collaborative art projects designed by established artists. The pieces produced during the camps, alongside the artwork of the participating artists, will be exhibited in a gallery space in December, during Art Basel Miami Beach 2011. Children in Miami from the ages of 6 through 12 are welcome to participate this summer, where camps will run concurrently with the participation of children from the war torn city of Gvozd in Croatia. Children and artists from both cities will work side by side to create meaningful pieces of artwork that reflect the theme of tolerance and understanding in our world. Artists in Croatia include Hrvojé Mitrov, Stipe Zoroja, Lila Herceg, Nikola Faller and Aleksandra Podrebarac. 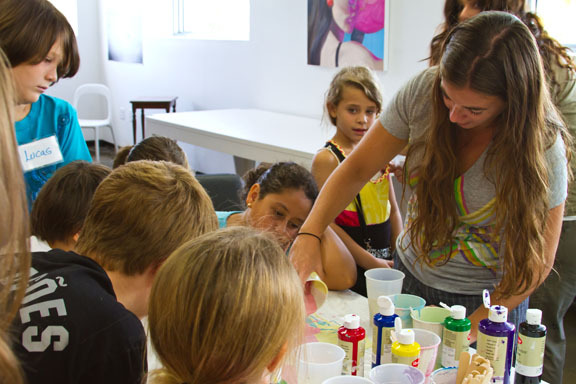 In addition, Artoconecto is excited to announce that they have been awarded their second grant from the Miami-Dade County Department of Cultural Affairs for KIDSART, as well as a generous grant from international arts organization CEC Artslink. This will allow Artoconecto to expand its children’s program and partner with the Croatian organization Sunkocret (Sunflower) Center for Community Development. 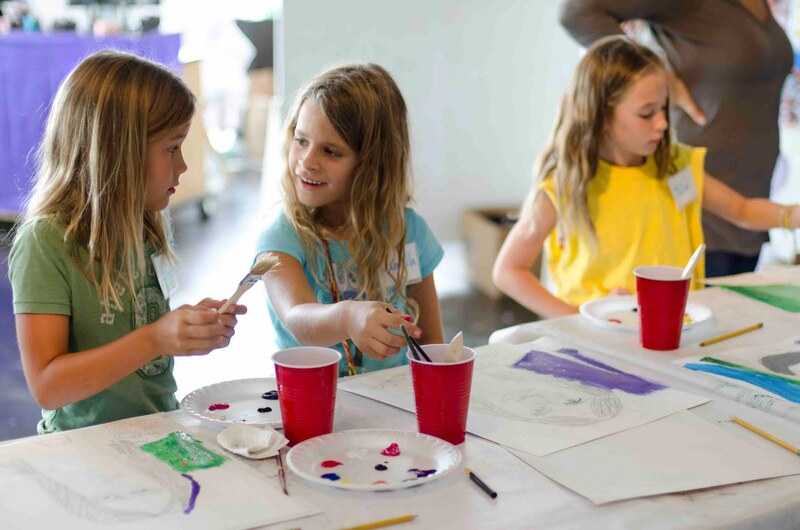 The grants will facilitate both organizations’ implementation of a five-week arts camp where kids will participate in collaborative art projects designed by established artists. The pieces produced during the camps, alongside the artwork of the participating artists, will be exhibited in a gallery space in December, during Art Basel Miami Beach 2011. THE KIDSART BRIDGES program this year will have the participation of four under-privileged children selected through a partnership with Art Studio Miami, who will receive full scholarships for the camps. 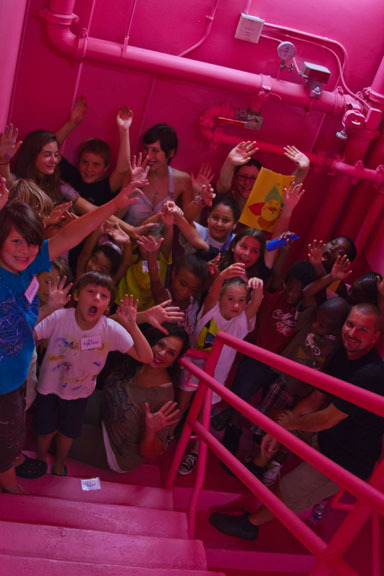 It is a tremendous opportunity to not only have your child participate in the most exciting arts camp in Miami, but also, you will directly contribute to sponsoring a child. “KIDSART helps kids build a meaningful foundation for learning, and all kids deserve the chance to fulfill their potential,” says Rangel. Continues on: August 6th, 13th, 20th and 27th. Contribution to the program, tax deductible: $100 per child: includes materials, lunch and sponsorship of under-privileged children. 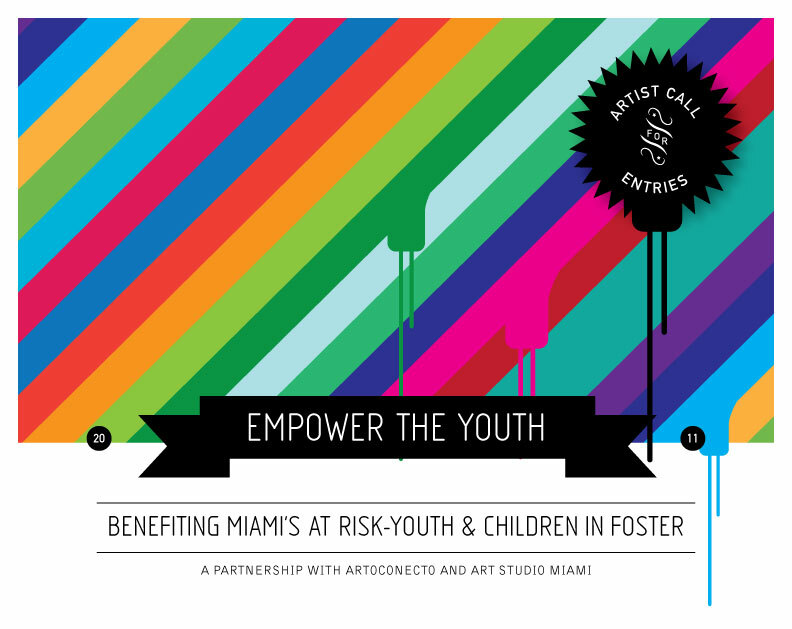 Benefiting Miami's At Risk-Youth & Children in Foster. The local arts advocacy organization Artoconecto, Inc, in conjunction with Art Studio Miami, Empowering Young Minds, are seeking local emerging visual artists, who have bold and exciting artistic ideas ready to be implemented at a series of arts camps for at-risk youth and children in foster care, at Art Studio's location in Little Haiti. The camps are scheduled to start March 2011 and will run consecutively through May. 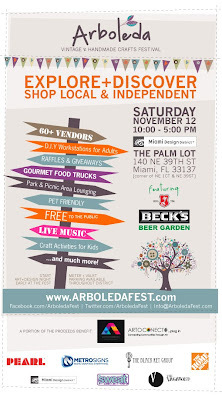 Artists in all mediums are invited to participate. The goal is to select two emerging artists who are ready and enthusiastic about implementing their dream project and work with a group of children in need, on a volunteer basis in exchange for valuable Teaching Artist experience and training. In addition the chosen artist's will have the opportunity to be eligible for a paid summer teaching artist position with Artoconecto's KIDSART program and a possible artist-in-residency at Art Studio. Artoconecto's KIDSART program, in partnership with Art Studio, will provide selected artists with the tools, materials, population of at-risk youth, space, technical support and guidance necessary to successfully complete their art projects, therefore training them as teaching artists and adding a valuable set of skills to their CV/Resumes. 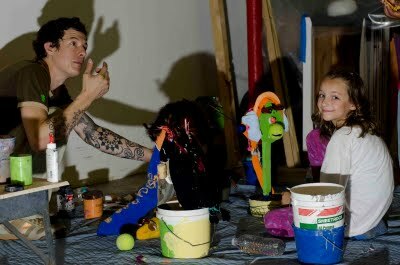 Once selected for the volunteer Teaching Artist training, these artists will be recognized and participate with an honorarium in a paid position at the summer art camp of Artoconecto's KIDSART program, making it a sustainable and rewarding experience for the artist who in the process becomes an agent of change. In addition, the artists will be eligible to become an artist-in-residence within Art Studio. 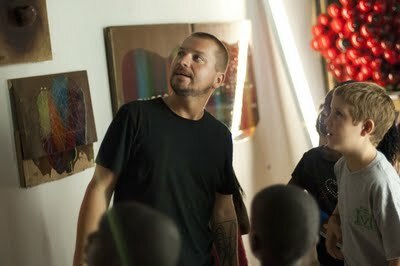 Artoconecto is expanding the KIDSART project within Art Studio's premises, where during two months and under the tutelage of one artist per month, a population of children in need in the area of Little Haiti, will receive an afterschool arts program (2pm-6pm weekdays) that will serve as a compliment to their primary education.